I have grouped the South & West together as they have so few distilleries. 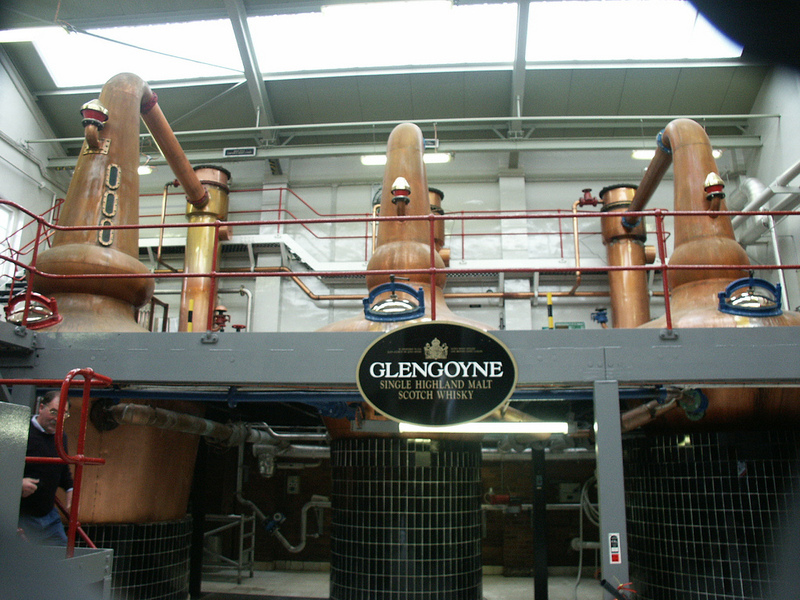 In the South, Glengoyne and Loch Lomond are barely North of the Highland line a few miles from Glasgow. Glengoyne boasts of being completely unpeated, while Loch Lomond has the most complex range of malt whiskies using a Lomond still to produce different styles of Malt. 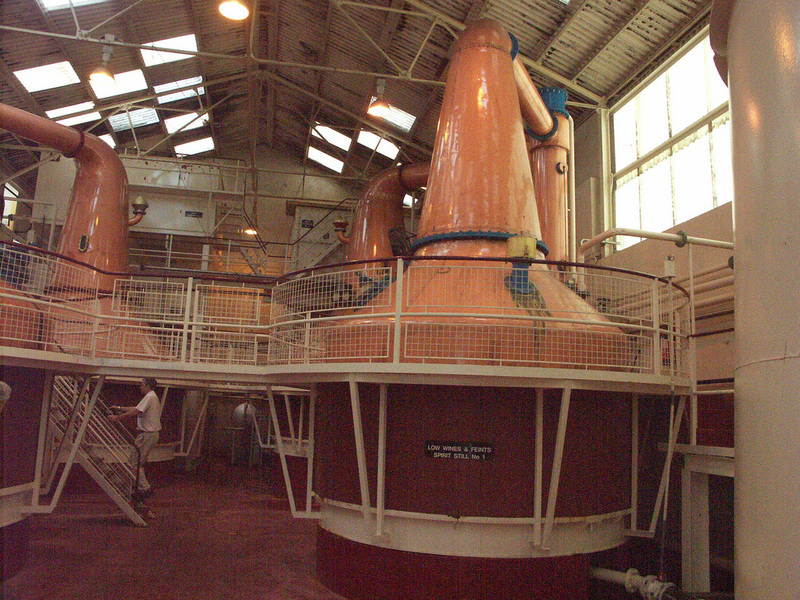 It also uses different peating levels, and has a Grain distillery on site as well. 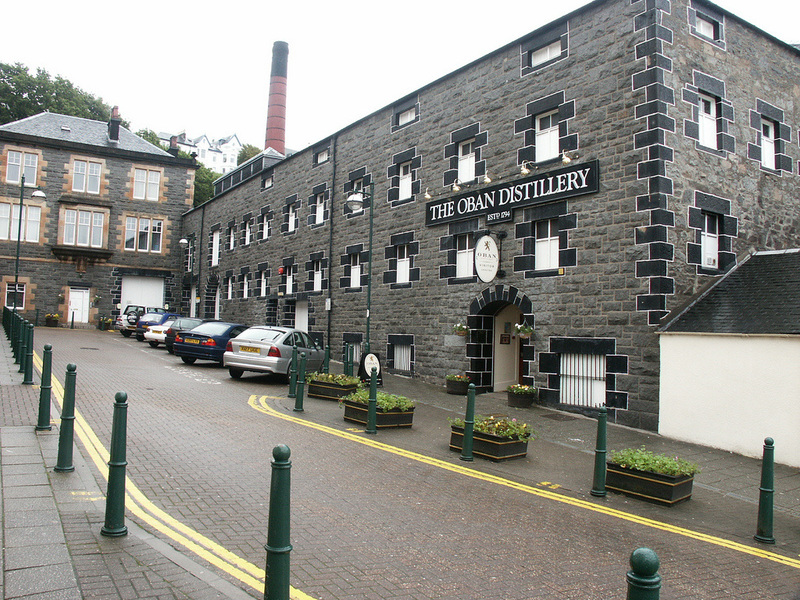 Oban is on a cramped mid-town site, but produces a distinctive malt with a maritime influence, one of Diageo's original 6 Classic Malts. Ben Nevis on the other hand nestles below the mountain it's named after on a spacious site that once also contained a Grain distillery. Glenlochy was also close to Ben Nevis, but has been converted into holiday apartments and cottages. Some of the buildings remain including the distinctive pagoda roofs from the former kilns. 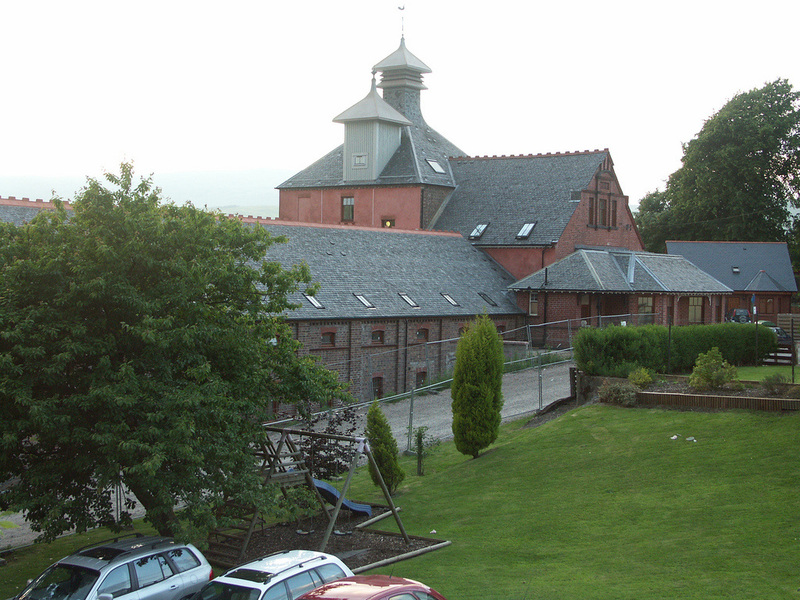 Ardnamurchan Distillery, was built by Independent bottler, Adelphi (named after a long closed distillery in Glasgow), have now built a new Distillery near their headquarters in Glenborrodale on the remote Ardnamurchan peninsula. The peninsula includes the most westerly point on the British mainland (Corrachadh Mòr) and is far from easy to access by road. ​Ncn'ean Distillery has been in production on the Drimnin Estate in Morvern since March 2017 - only a couple of miles from Tobermory - but the other side of the Sound of Mull. By road - 12 miles from Lochaline - could be a very nice ride along the Sound on a good day. More on these new distilleries.